One of the best ways to bring mindfulness into your daily life, and maintain the momentum is through mindfulness journaling. 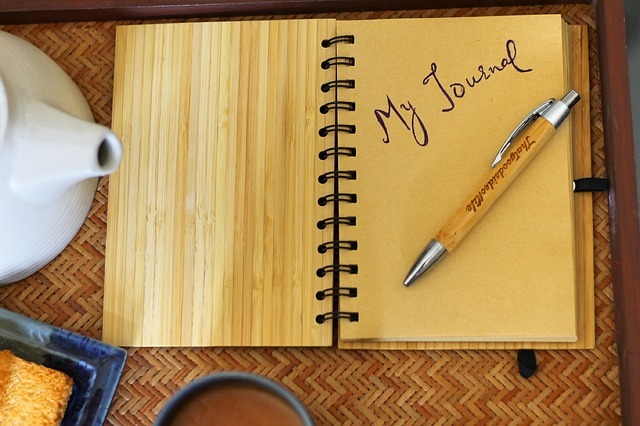 Kate McGunagle, a mindfulness blogger, shares how to create a mindful journal to help your practice. We are creatures of words. Our language powerfully shapes the way we perceive the world and how we navigate daily anxiety, beliefs, and fears. It is also essential to cultivating mindfulness. Journal therapy relies on reflective, conscious writing practices in order to foster well-being, process thoughts, and concerns, and heal from trauma. In fact, many clinical psychologists encourage clients to write as a means of supplementing talk therapy sessions. I’d go so far as to say that writing is a form of therapy itself. Mindfulness isn’t necessarily a therapy, however. The intention of mindful journaling is to get in the habit of observing and witnessing your thoughts and the language of your unconscious. It touches on your deepest and simplest forms of self-expression. When used consistently, it can help you become mindful outside of the page. Your mindful journaling can be your greatest tool for alleviating anxiety, be it social, financial, or spiritual. It can also complement meditation and yoga practices. Ready to uncap your pen and tap into your subconscious? Your pages await. 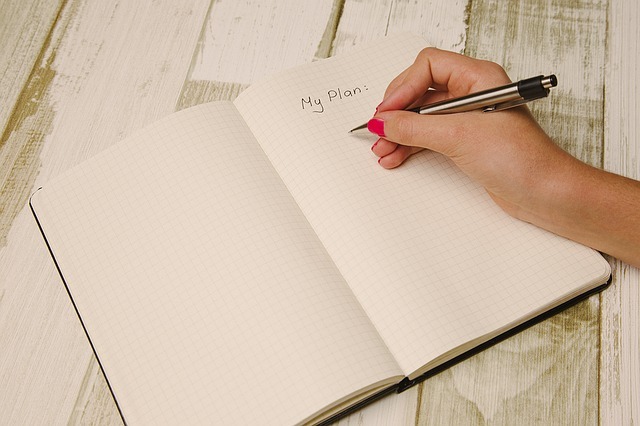 If possible, use a pen or pencil and a notebook, piece of paper, or diary for your journaling practice. Mindfulness is, in many ways, tactile. We also spend far too much time gazing at screens and plunking away at keyboards. Devices can diminish the communication of the inner world with the outer world. Writing with a pen on actual paper coaxes your inner wisdom out onto the page more easily. Do choose a quiet space in which to journal. If possible, choose a space you don’t already use for work or professional purposes. Keep electronics away. Burn a candle if you wish. Make sure you are alone. Before you begin one of the exercises below, it’s important to situate yourself emotionally and mentally. I like to meditate before journaling, if only for one or two minutes. Deep breathing or relaxation can also be useful. Preparing for mindful journaling is already the act of cultivating mindfulness. Being mindful is, after all, about being intentional with our selves and our well-being. One of the simplest and most accessible forms of mindful journaling is what I like to call “process” journaling. The emphasis of this type of exercise is on the process of the writing itself, rather than an end goal, conclusion, or solution. This is particularly helpful for shutting off the analytical mind, so quick to form opinions, judgments, and worries. It can also foster feelings of ease—there is no need to produce a “perfect” or “complete” work, or to find any answers. No one else will look at this. The task is merely to write. In the beginning, this may be challenging. The first time I did process journaling, I spent much of the time shuttling back and forth between my analytical mind and my creative, intuitive mind. I slipped in and out of noting the quality of my sentences or finding metaphysical meaning in some of the things I was writing. Then I would become frustrated at my inability to “stay focused” on the task at hand. Over time, however, it became easier. I found relief in freedom in simply witnessing what was emerging from my pen. I felt held, much like I do when someone truly listens without imposing solutions or responses. Once you find it, start writing. This is your beginning point. Try to write whatever comes into your brain, even if it means departing from that first image. You may just find yourself writing the same word over and over again. You may write a poem, a letter to an ex-partner, or a journal entry. You may read over what you have written, but practice the same mindful habit of simply observing. If you feel the need to analyze, bring your process writing into a therapy session, or try an additional exercise for mindfulness. The goal here is to give yourself permission to write, to not seek a solution or an end, and to be gentle with what appears. For mindful writers who already keep a journal, this exercise can be a challenging and enlightening variation on your standard practice. I’ve always maintained a diary, but this exercise made those entries more rewarding and less tedious. I still encourage writers to begin this exercise by giving themselves full permission to write whatever emerges. Much like process journaling, the emphasis of the journal entry exercise does not lie in uncovering meaning or answers. It also has nothing to do with literary merit or how “well” or much you write. Begin this exercise with today’s date or any other date you feel like. Instead of using the first person “I,” however, use a third-person pronoun. What can this exercise accomplish? That is mainly up to you. However, this subtle shift in pronouns creates a subtle shift in how you engage with your thoughts. Suddenly, the actions and thoughts you are writing about aren’t necessarily yours. This remove places you in the position of a neutral observer. For some people, such a remove can actually reveal more of what’s underneath the surface. It can be freeing for individuals who feel constantly trapped in their own heads and thoughts. This exercise can, therefore, be deeply therapeutic. Creative writers may appreciate it, too. However, still resist the impulse to analyze, and stop when you feel complete. Use this exercise as a predicate for navigating difficult, in-the-moment thoughts and emotions outside of your journal pages. Another exercise for mindful journaling takes a more creative lens. I like to use this exercise when I experience writer’s block or a “life block,” what I call periods when I feel emotionally or spiritually stagnant. Without fail, it re-engages my creative intuition with my mindful self. It functions much like a cup of coffee boosts the body’s alertness. There are several ways you can approach this. One way is to gather several sticky notes or scraps of paper. On each piece of paper, write a single word that comes to mind. It can be anything. Fill out as many pieces of paper as you wish, then toss them in a big salad bowl. Draw one out and use this as the diving board for your mindful writing. So, for example, if I draw a slip that reads “lilies,” I would begin writing whatever came to mind with this word-prompt. With this exercise, still, reserve judgment. Feel free to slip into the first-person pronoun if you wish (or the second, or the third). Let the pen begin at the word-prompt but take you wherever else it pleases. The second way to approach this exercise involves beginning with a drawing or a doodle instead of words. Tap into your unconscious and let your pen create whatever shape it wishes to create. Then, use this as your starting point for your words. Use this exercise to build awareness, better recognize the creative potential in objects and words, and to cultivate ease. Mindful journaling uses the unique power of words to reveal what is within (and without). It has no concrete aim or end goal. In fact, the best forms of mindful journaling are all about the process and the moment experienced on the page. All of these exercises can serve as tools to help you build greater awareness of your unconscious feelings, emotions, and thoughts. They can help process in-the-moment anxieties and reverse creative stagnation. Ultimately, they give you permission to express what you need to express. This is the beginning of true and pervasive mindfulness. 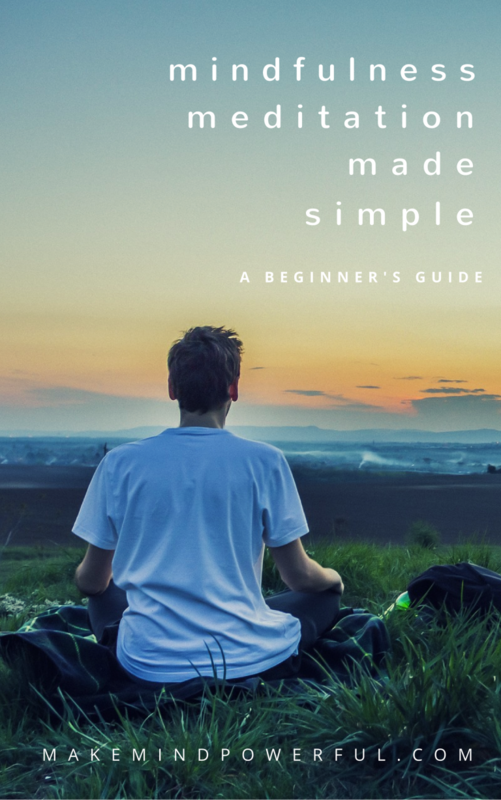 Kate McGunagle is a freelance writer, editor, and mindfulness blogger. Her blog (A Lighter Earth) focuses on conscious living, spirituality, and sustainability. A graduate of Princeton University and Boston University, she recently moved to the northwest of the U.S. to become a yoga instructor, launch her writing career, and build an off-grid tiny house in the mountains.